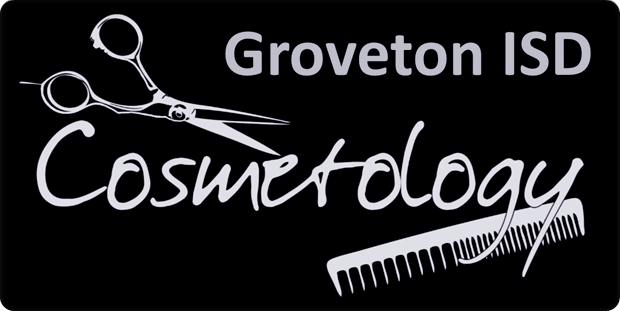 Groveton High School offers an amazing Cosmetology Program that provides students with a method of becoming a licensed Cosmetologist for a mere $25. While getting the needed hours required by the state to earn a license in high school, students can graduate and go straight into their career. Thousands of people dream of attending cosmetology school. To get a degree at an accredited cosmetology school can cost anywhere from $5,000 to $15,000. Tops beauty schools can cost from $10,000 to $20,000 plus the cost of textbooks. One way to pay for a cosmetology degree is to take out student loans from the government. Cosmetology Pell Grants can cover the entire cost of tuition for a person’s program. Student loans can also be used to pay for room, board, and textbooks. Textbooks and supplies costs between $2,000 to $3,000. This includes required textbooks, tools such as scissors, shampoo, conditioner, mannequins, and other tools for your courses. Students are also encouraged to provide extra in the budget for additional supplies that the teacher may recommend that you purchase. 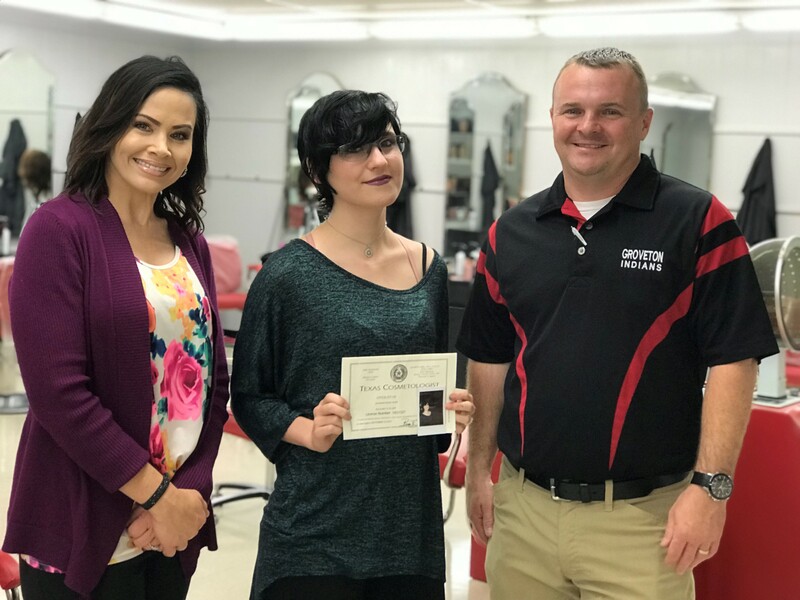 Or, you can get your license through the Cosmetology Program at the Groveton High School under the leadership of former Groveton student turned teacher, Victoria Robertson. The videos below explain the program and give the viewer an opportunity to meet some students who are working toward their desired career now. Hayley Hart, Mr. Finch and Victoria Robertson. This is Hayley’s Cosmetology License. She is now a licensed cosmetologist. I love love love our video!!!! What a great program!! Thank you Groveton ISD! !